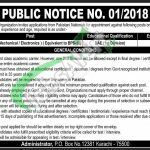 Get PO Box 12381 Karachi Jobs 2019 PAEC Application Form Download on this page. Public Notice No. 01-2018 is announced by a public sector organization in which it invites applications from Pakistani Nationals for appointment against following posts such as (Technician-I (Mechanical/Electronics)). Appointment of these positions will be on a temporary basis which can be permanent on satisfactory performance of an individual and selected candidates will be required to serve anywhere in Pakistan as per the demand of Public Sector Organization. Candidates willing to apply should hold relevant qualification and experience as per the criteria mentioned in the following image such as DAE with relevant experience holders and fresh candidates can apply. Preferably first class academic career. However, one 2nd Division will be allowed except in final degree/certificate. But no 3rd Division in the entire academic career. Candidates must have obtained all educational certificates/diploma/degrees from Govt. recognized institutions. Now let’s jump towards how to apply procedure in the next heading. 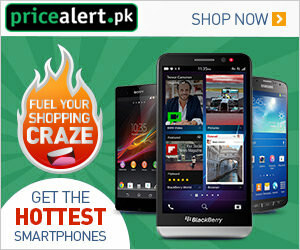 Applicants should apply on prescribed which can be downloaded from JobsAlert.pk. Duly filled application form along with attested copies of educational degrees/certificates/testimonials/experience must reach the following address given below. Name of the post applied for should, be written clearly at a top right corner of the envelope. Incomplete application or applications carrying incorrect information shall be summarily rejected. Only the candidates who fulfill prescribed eligibility will be called for test/interview. For more government Jobs please visit our site JobsAlert.pk. Address: Administrator, PO Box No. 12381 Karachi - 75500.